Working in alliance with some of our business clients, Super-Clean can quickly tackle the heavier cleaning jobs sometimes needed on the carpeting and seating in cars, buses, coaches and trains. Because valuable revenue can be lost whilst a vehicle is out of service, a quick turnaround time is usually essential. Dry or foam cleaning can be a good option, but this type of cleaning is only ever effective on the surface of the material. Hot water extraction is the only effective way to remove stains that have become deep routed, or where liquids have been allowed to soak into the fabric backing. 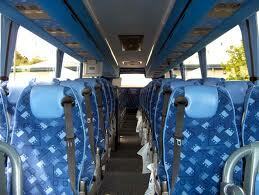 Coach seats normally only suffer stains from spilt food and drink, but heavier stains from vomit, milk and blood will require a biological-digesting enzyme treatment before cleaning. 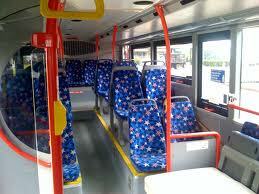 Service bus seats, because of the variety of passengers carried, not only suffer from general dirt from the likes of work clothes and overalls, but unfortunately urine. Yes accidents can happen especially with the elderly and children, but late night buses regularly carry drunken passengers who relive themselves without caring about the next passengers who might sit on that seat. These stains are invisible to see, but are unfortunately very easy to smell. 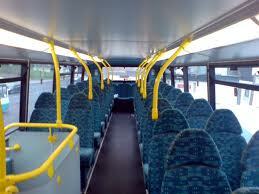 Our expert operators carry special lights that will show up and pinpoint urine stains on seats. These stains can then be effectively sanitised and removed using a urine stain neutraliser, deep cleaned, and then deodorised. Sometimes in the most serious cases the only effective way is to actually remove and disassemble the seat squab and clean each component separately, however to reduce vehicle down time it is sometimes possible to simply swap the squabs. 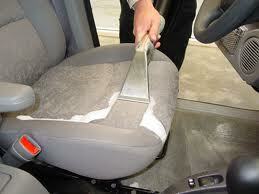 The operator can then take the stained ones away to be thoroughly cleaned at our premises. 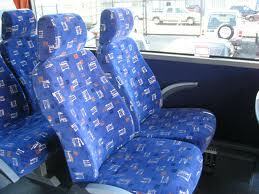 Today’s modern service bus seats featuring bucket bases and foam seat pads require a different cleaning technique to the conventional deep foam, fabric covered variety of seat, and is a technique that we have also come to master. In addition to valeting, we can also undertake insecticidal treatments for seating and fabrics, or complete vehicle interior treatments for insect infestations.